We also have 3 Great Granddaughters. Our oldest Grandson recently got engaged to a sweetheart. Our family keeps growing. I am one lucky man. Transferred to Chicago in 1988 with Commonwealth Edison. Retired in 1996 and moved to Aurora, Il. Work part-time for a local consulting engineering company. Retired again from my part-time job. Our lives have been blessed with 11 amazing Grandchildren and one Great granddaughter. These Grandkids are the best gift I've ever had. Just got my Medicare card - BUMMER. Started taking 1/2 of Roxanne's Social Security - we're in the bucks now. Oldest Granddaughter getting married in May 2013. Never thought I'd see the day. I'm one lucky guy. We now have a Great Granddaughter Amelia. She is beautiful. Our Granddaughter blessed us with our first Great Granddaughter 3/21/14. Just remember the dances after the games being a lot of fun. 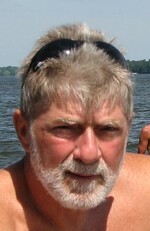 Thomas Burrs updated profile. View. Thomas Burrs has a birthday today. Thomas Burrs has a birthday today. New comment added. Thomas Burrs posted a message. Sorry to hear about Jim's passing. It's nice that he got to spend time with family. Thomas Burrs has left an In Memory comment for William Wernick. I will miss you my firend. Our time on facebook passing fun stuff back and forth will truly be nissed. I'm so happy that we got to spend time together at our reunion. I'm sure you are having a ball in heaven petting dogs and sharing your amazing humor and kindness with everyone. Sad about Bill. I had connected with him on Facebook and we had a great time sharing funny post. Glad he was at the reunion and grateful for the time I go to spend with him. I also enjoyed our time together. Our youth was amazing. Thomas Burrs posted a message. New comment added. Ken and Rusty. I need more time with you. Can't begin to tell you how good it felt to be with you. Brought back so many fond memories. See you, soon I hope, in Florida. Bill and Janet. I can't begin to explain the strong emotions I have when we meet at our reunions. The amount of joy you two bring me almost brings me to tears. The sad part is the grief I feel when we leave. Well that's enough of that. Miss you two already. Thomas Burrs added a comment on Profile. New comment added. Thomas Burrs posted a message on William Angell's Profile. New comment added. Great picture Bill. Glad to see you are coming to the reunion. Glad to see you sign up. Hope to see you at the reunion. Nice to see you signed up. Welcome aboard. Thomas Burrs added a comment on William Angell's Profile. A happy day at our youngest son Pete's house in Lake Dubay, Wisconsin. All of our Children and Grandchildren meet every summer.